The National Apartment Association (NAA) is America’s leading advocate for quality rental housing. It serves more than 67,000 members through 170 state and local affiliates. NAA initially engaged with Unleashed Technologies in order to understand the full scope of the limitations of its web presence and identify the remediation efforts necessary to ensure it is in line with Drupal best practices and providing a superior experience to members. Unleashed Technologies performed a full audit of the NAA website, reviewing modules, design, and functionality. Through this audit, Unleashed Technologies identified many inactive modules that weren’t being used or that weren’t updated. It became clear that proper maintenance was not being performed on their website, leaving it vulnerable to security threats and impacting performance. A full list of issues was compiled with next steps identified to prioritize and address those issues. 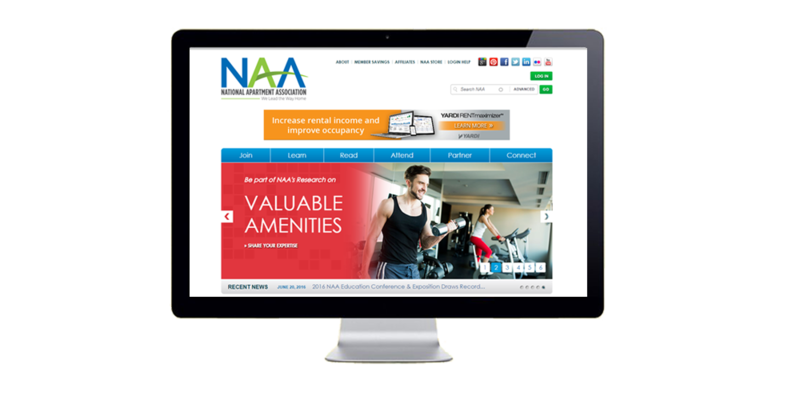 After the audit, NAA was confident that Unleashed Technologies has the skills and Drupal expertise to resolve identified issues, keep up with maintenance and security updates, and perform enhancements in order to advance the functionality of the site. As a result, NAA signed on to a Support and Growth Package with Unleashed Technologies to continually improve the NAA web presence. 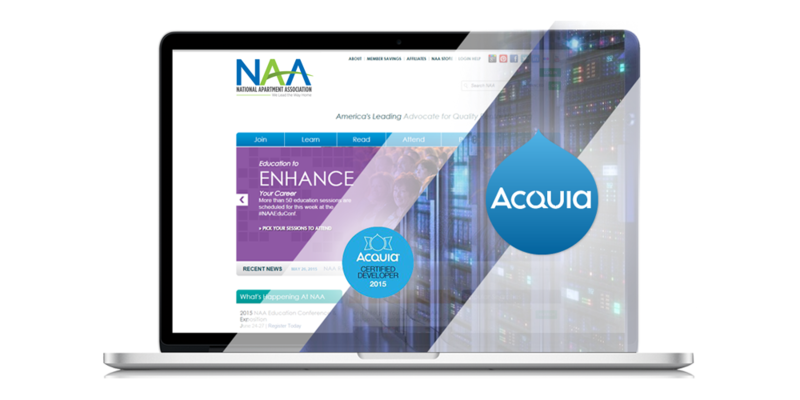 As part of its web management services to NAA Unleashed Technologies regularly works with Acquia hosting, using their staging and production environment and adhering to best practices. The former web team was unfamiliar with leveraging Acquia for version control and there were several issues where code was committed to the production environment, overwriting code that had previously been committed and resulting in a loss of more than a week’s worth of work. Unleashed Technologies ensures that code management is a top priority to keep the production environment free of errors and guarantee updates are performed seamlessly. Following a successful audit to identify the challenges inherent in the NAA web presence, Unleashed Technologies’ Support and Growth package provides NAA with the time and expertise required to keep the site maintained and get the development tasks completed that are necessary for achieving its organizational goals. The ease in working with Unleashed Technologies was unique. It's not an easy thing to have a company audit someone else's work on a website. They were more than willing to apply their expertise to our problem.